Last week marked the 29th Anniversary of the NASA Challenger Space Shuttle tragedy that brought a devastating end to the space craft’s tenth mission. Millions of Americans watched as the aircraft exploded into flames tragically ending the lives of the entire flight crew. 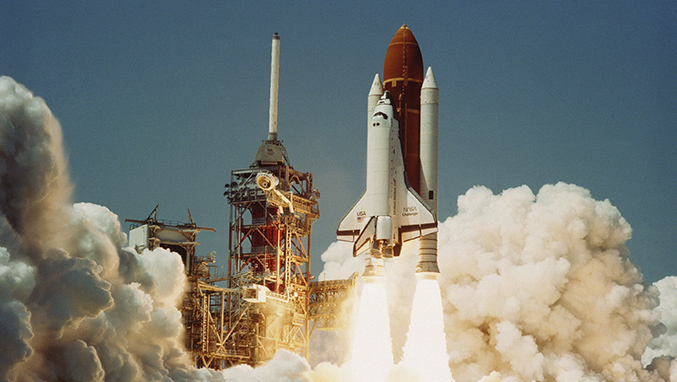 As a result, NASA temporarily suspended shuttle missions for more than two years. So what was the cause of this failed mission and how does it relate to B2B marketing? The decision-makers who determined when the Challenger would launch didn’t take into consideration safety concerns originally presented and therefore did not have a clear understanding that it was not safe to launch. If the story behind the data presented had been communicated and understood, it is highly unlikely that the Challenger would have launched. Thankfully, in B2B marketing, the repercussions of poor decisions are not nearly as severe as a failed NASA mission. However, a failed marketing initiative is nothing to be taken lightly and can negatively impact your company’s brand, position in the market and bottom line. It is up to us as marketers to not only share crucial data, but to tell the story behind the data. Data provides the much-needed “what” and as data storytellers we need to demonstrate the “why” through analysis narratives. I found an interesting article on Harvard Business Review that details how to tell a narrative story with data. One of the key takeaways is to define your audience. Using data successfully requires your story to be written to answer the “why”, providing context your audience can easily understand. For example, you may want to present the same data to a company’s leadership team, an “executive” audience, and your target customers, a “generalist” audience. Although the same data may be relevant for both groups, it should be framed uniquely for each audience. So no matter the application, whether for NASA or B2B marketing, it’s crucial to not only present data, but share the narrative behind your data in order to provide desired insight to your audience.